I thought of bringing to your attention a product that’s been in my makeup collection for a while and it’s currently on sale. 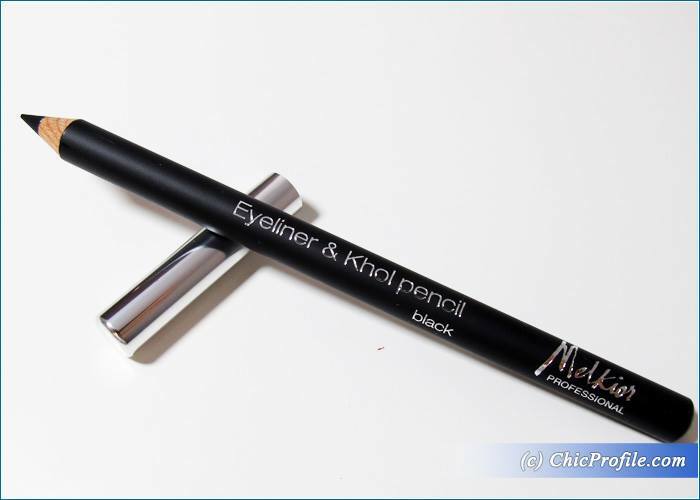 Meet Melkior Eyeliner & Khol Pencil in Black shade which is on sale this month and can be purchased for the price of 14.90 Lei. 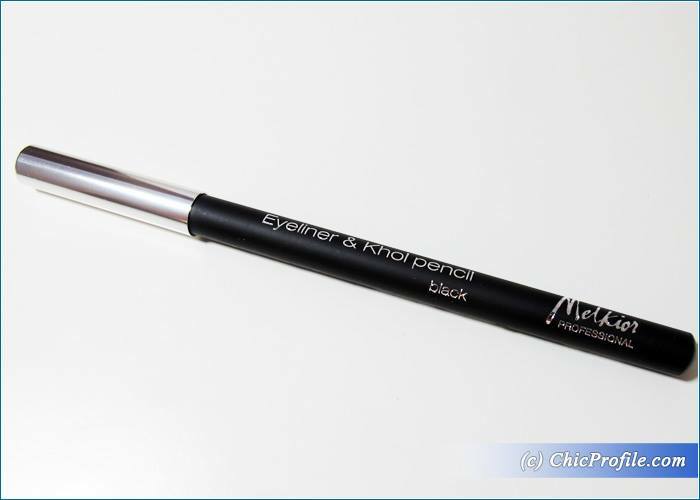 A black eye pencil is one of the most used makeup products and if you don’t want to invest too much money and still have a decent quality then you should check out Melkior Eyeliner pencil. 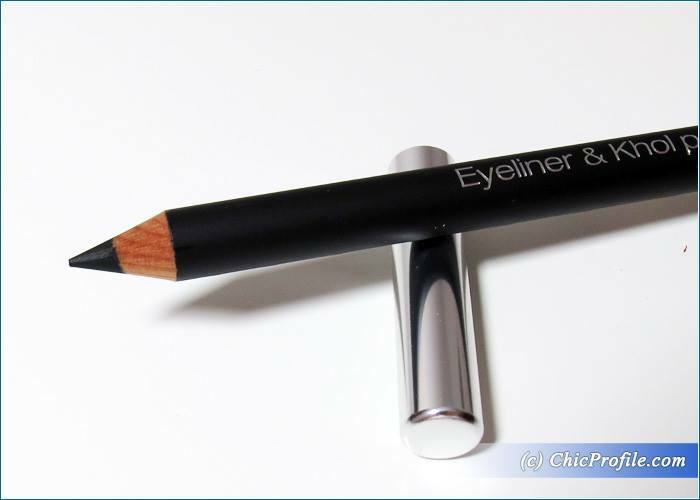 Melkior Black Eyeliner & Khol Pencil (19.90 Lei for 1.14 g / 0.04 oz) is a dark black with a smooth matte finish. It has a rich and intense color coverage with a creamy but very well balanced formula. The pencil glides easily and smoothly across the lid, without pulling the skin and it’s even recommended to be applied on the waterline. It delivers an even and pigmented color, it’s transfer resistant and very easy to use. It doesn’t come with a sharpener so you’ll have to use your own if you want to have precise and pointed tip. I personally like to sharpen my pencil when I need to draw a crisp line, otherwise I don’t mind a more rounded tip when I’m using it for smudging or on my waterline. Even though Melkior states that this product will last for hours when used on the waterline, in my case it didn’t. I personally have a problem when applying color on my waterline as they all tend to fade under an hour and sometimes even after 10 minutes, so the case with Melkior Eyeliner & Khol Pencil was just about the same…under 1 hour wear. 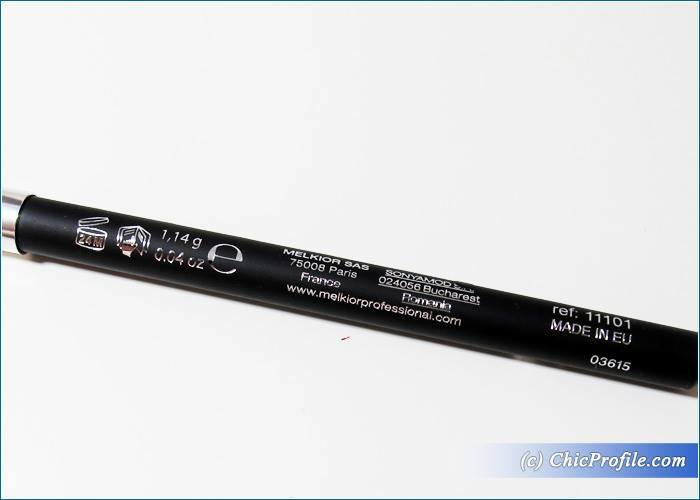 Actually the only eyeliner or khol pencil that manages to resist on my waterline and impressed me so far is MAC Feline Eye Pencil (review, swatches, photos). 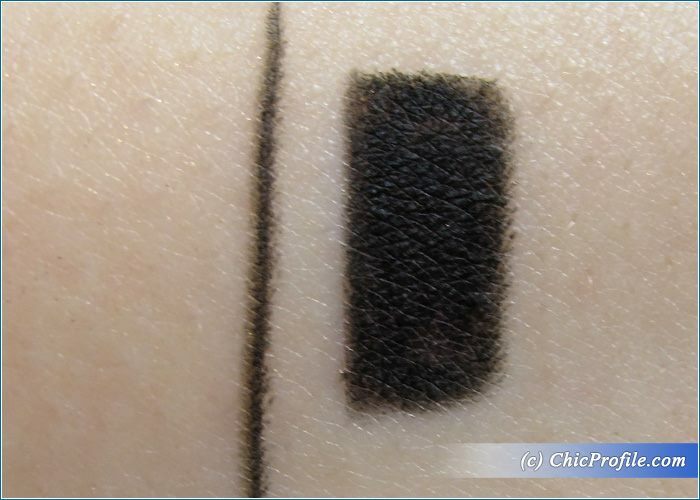 Melkior has a plus considering this is one of the blackest black eye colors I’ve come across, really good color payoff, very easy and effortlessly application and great for smudging or used as a base for smoky eye.